As an owner, executive producer or sales rep, it’s no secret that successful reels are vital to your company’s bottom line. Plain and simple, if your reels aren't winning bids, you aren't making money. In this post, we’ve listed Simian reel features and time-saving tips to energize your sales team and improve their productivity. Our Real Time Video Encoder (RTVE) app makes encoding video for the web effortless. Its super-fast encoding speed ensures video is encoded to web standards, meaning your video will play on any browser and device. The RTVE is a desktop app so you don’t even need to log into Simian to upload video, simply open the app, drag the files in and encode. When you’re creating a reel, click the preview button to see how your presentation will appear to prospects. Did you choose the right template design? Do your thumbnails tell the story you want? 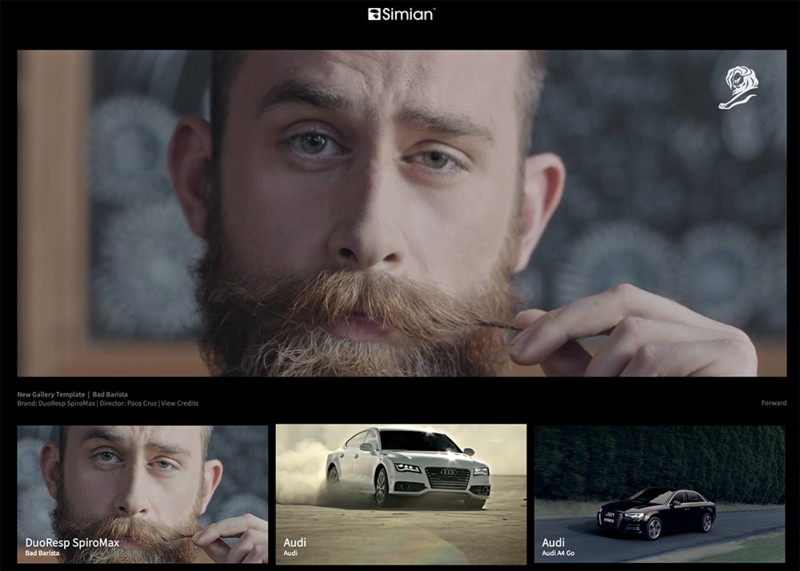 Make sure you’re 100 percent satisfied with the look of your reel before hitting send. You can also preview sent or draft reels from your Reel Library. Chances are you aren’t going to remember the contents of every reel created, so before loading it into the Reel Creator, preview it to make sure you’ve got the right one. Speaking of template designs, have you tried the Gallery template? It more closely resembles a web page than a classic reel presentation, with large, easily-visible thumbnails that show off work within your reel. That makes it easy for the viewer to run through the spots. If you’re re-sending a previously created a reel and don’t need to make any edits, use Quicksend to get it out fast. Quicksend lets you send reels from your Reel Library without having to load it into your Reel Creator. Short links track when your reel is opened and how much the viewer watched, but figuring out exactly who’s viewing can sometimes be difficult. 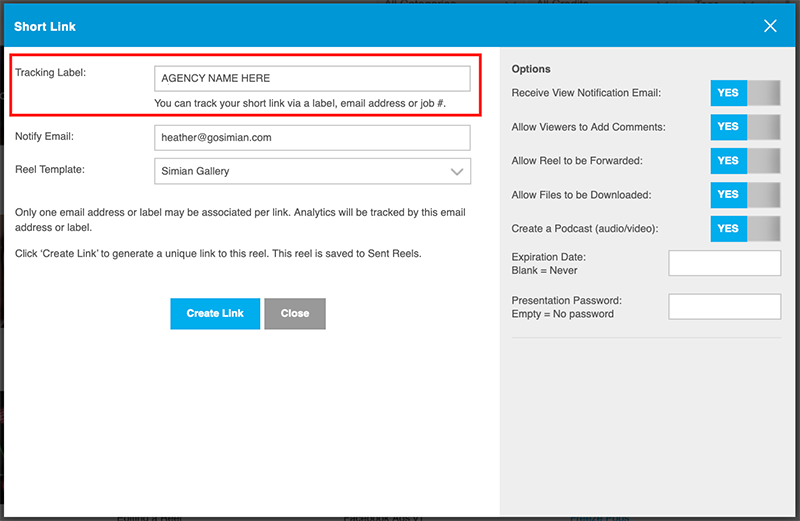 The recipient is listed as an IP address in reel analytics, which is why we added labels when creating a short link. 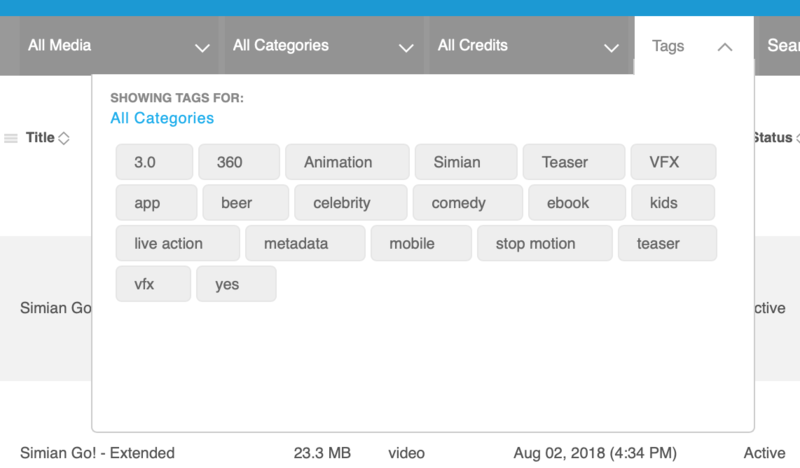 Just label your reel with the name of the person to whom you’re sending its link, and their engagement data will be listed under their name, not an unknown IP address. Video heatmaps measure viewer engagement, so you know what prospects are watching (and what they’re not). Just like a weather map, red equals hot, and blue equals cold. (For more on Heatmaps, check out our blog entry 'Heatmaps Let You Bring the Heat') Discover which spots, and even which scenes or segments within a spot -- are sparking prospects’ interest. Then make smart, targeted follow-ups, containing scenes, settings or techniques you already know will resonate. In today’s fragmented media environment, reels need to be attention-grabbing, and that starts with a thumbnail. 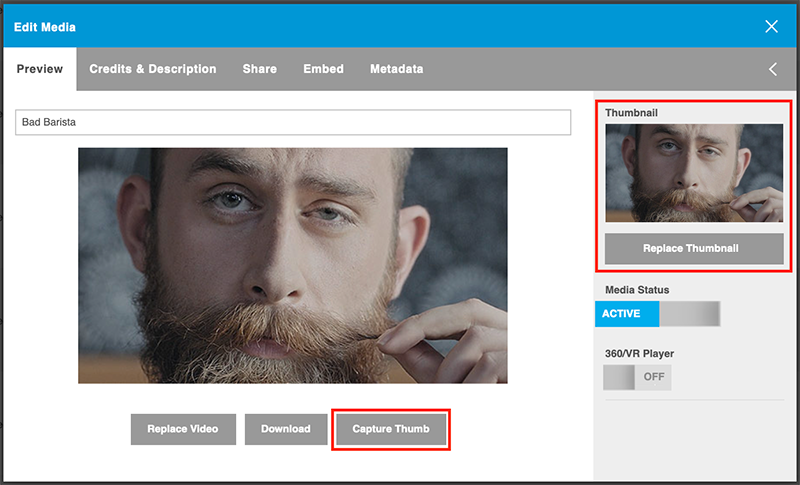 After a video is uploaded, you can capture a thumbnail by playing the video or upload a custom thumbnail from your computer. Did you forget to enter a credit when uploading the last group of files? 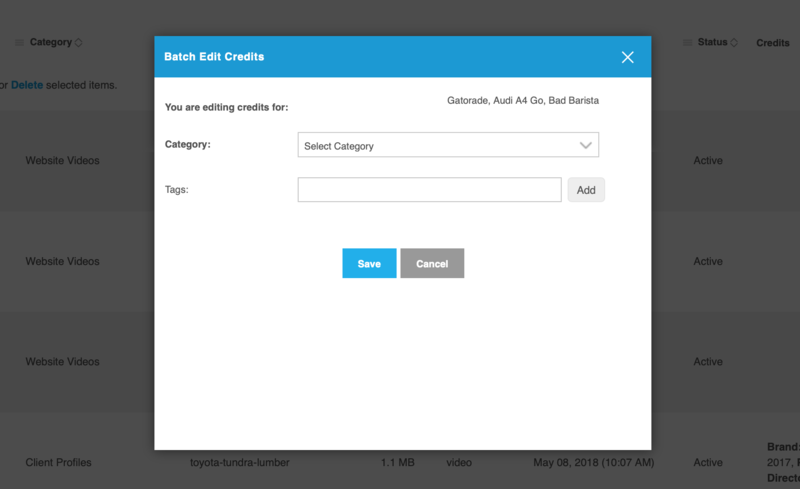 Or need to add a credit to existing files in your library? Thankfully, you don't have to edit information individually, file by file. 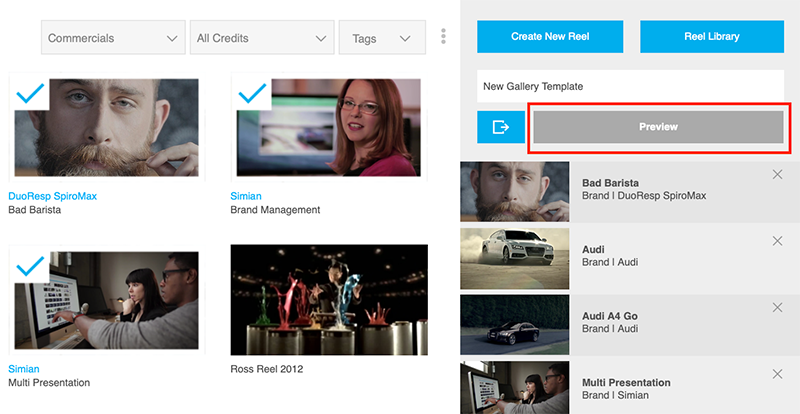 You can easily edit categories, credits and tags of multiple files in your media library at the same time. You can sort your library with categories and credits of who worked on the project, but you can also add tags to better describe what a file is. The problem with tags is remembering all the ones you’ve used. On top of that, how are you supposed to know all the tags other team members have used? The answer is: you don’t! We added a drop down feature in the media search that displays all tags that have been entered. For more on this, check out our blog item on Enhanced Tagging. You can further refine your search by selecting a category, and only the tags associated with that category will be displayed. Searching through a large library of files to find the perfect spot for a reel can be time consuming, especially when you’re watching each one. We’ve made the process a little faster for you with scroll arrows. Click the back and forward arrows to quickly move from one spot to the next. Sometimes when you turn a piece of highly-functional software into a mobile app it can be kind of clunky, but our iPhone app is so smooth, you won’t believe it’s not butter. Simian Go! is intuitive and makes sending reels from your phone painless. Create single and packaged reels, preview reel design, create short links, view analytics -- and do it all from the palm of your hand while in line at Starbucks! We hope the tips listed above make your job a little be easier. If there’s something you’d like to see added to Simian, let us know at support@gosimian.com, or give us a shout on Facebook or Twitter. We love to hear from our users, and appreciate and consider any and all feedback when we’re developing new features.